Have an idea for a blog post? Cool! Now, give me another 10. That’s not so easy, is it? Coming up with good blog topics can be a big challenge. 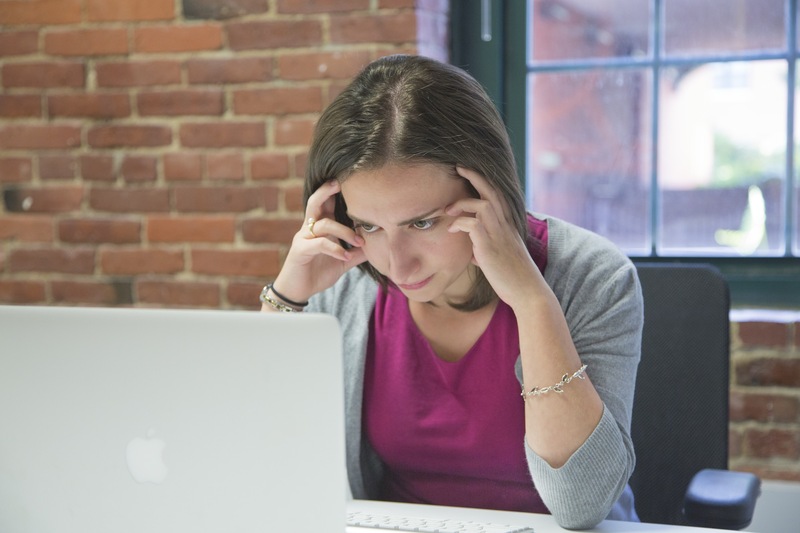 If you’ve committed yourself to writing regular posts, the pressure to think up compelling subjects may get stressful. Not to worry, though. Using blog themes is a blogging best practice that can help you avoid this aggravation. The table below shows how it can work. Start with the product’s message themes, which in this case are “Unified management,” “ease of use” and “security.” Then, by matching the pillars with keywords, you can come up with topics that fit nicely under the two themes. In the examples shown in he table, the H1 headings include targeted keywords. There are a number of advantages to using blog themes as a best practice. Themes enable you to align an ongoing series of blog posts with your established messaging. When you’re brainstorming blog topics in an undisciplined way, you can wander off your preferred message path. 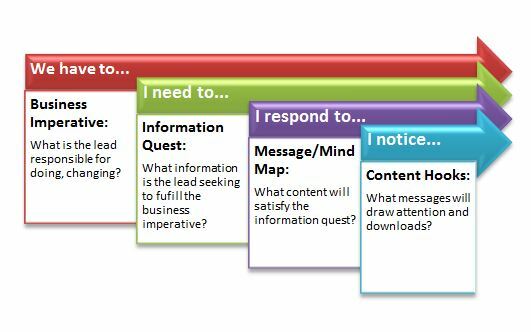 From an SEO perspective, themes help you stay organized and focused on your keyword strategy. Themes also expedite the guest contributor process. Instead of tasking an otherwise busy person with thinking up a topic and then writing a post, with a theme, you can simplify the request. Just give the contributor the theme and discover where their special knowledge fits with the theme. In my experience, this removes a big burden from the guest, who now no longer has to worry about a topic or coming up with a catchy title. By the way, if you’re curious about this post itself, my keyword is “blog themes.” It’s in the headline (H1), a sub-head (H2), the first paragraph and four other places in the body copy. Stay tuned for more posts on the theme of “Blogging Best Practices.” See how easy it is? Discussions of the customer journey make me think of a journey my late father once took. He was 20. It was January, 1945 and his B-17 bomber had been shot down over Austria. He was taken captive and placed in solitary confinement, sitting alone in a concrete cell with nothing to do. After two weeks, the guard knocked on the door of the cell and asked him, “Can you be ready to leave in three hours?” Yes, he thought. He could have been ready to leave the cell the second they opened the door. Why wait? We might do well to think about this story when we map out our customers’ journeys. Some are much shorter than others. If our job is to tee up qualified leads for sales, shorter journeys are better. Much better. How do we shorten the customer journey? My recommendation is to skip it, when you can. Some prospects need nurturing. They will be at an early stage of decision making. We love them, even if they aren’t whipping out their checkbooks. Nurture them, but don’t obsess about them. It’s better to find prospects who feel like my father in the prison camp: they desperately want to break out of their situation and they don’t need any encouragement to walk through the open door. Address the prospect’s needs and fears. Effective B2B content invades the buyer’s headspace and hits the critical emotional notes needed to create preference for our product or service. For example, try to complete the sentences, “I want…”, “I need…”, “I have to…” and “I fear…” from inside your customer’s head. What are the emotional buttons you can press? In this way, we might find out, perhaps, that “I want to earn ROI on my mainframe” is a lot more compelling than “I want to rethink my API strategy.” If our material isn’t connecting with the buyer’s emotions, we’re talking to the wrong people. Move on and find people who need to break out of their prison cells, so to speak. Read the buyer’s mind and create content that addresses his or her personal, professional and organizational desires. Mind reading is easier than it sounds. If we pay attention, we will know what’s on our customer’s mind—because, most prospects have similar thoughts and feelings. They want to get ahead. They don’t want to have problems. They want to feel smart and successful. Our content and campaign can speak to those emotional needs. Build competitive differentiation into the content. There’s a lot of not-so-nice talk from competitors going on behind closed doors. Painful as it might be, it pays to think about what our competitors are saying about us and respond to that FUD up front, in the content itself. There’s an art to this, of course. It has to be layered in, implicitly. But, if our competitors are saying, for instance, that our solution is too complex to set up, then we can place some testimonials about how our ease of installation right into the content. Implicitly answer sales objections. We know there will be objections. Like competitive FUD, try to counter them in advance. The more objections go unanswered, the longer and more uncertain the buyer’s journey will be. It’s a great practice to ask the sales team for input. They, more than anyone, want fast closes instead of long customer journeys. That said, they may be reluctant to share valuable insights into the customer’s mind. Doing so may make them look ineffective. However, if we can get the sales team to open up and explain why they have lost deals, we will learn how to help them avoid such situations in the future. My approach is to reassure sales people in advance that we will be having an off the record conversation about problems they’ve had in the field—which I am only trying to solve. In that context, they usually open up and share the insights we need in order to create content that packs an emotional punch and short-circuits the customer journey. - The message framework process. - The role of the subject matter expert (SME). 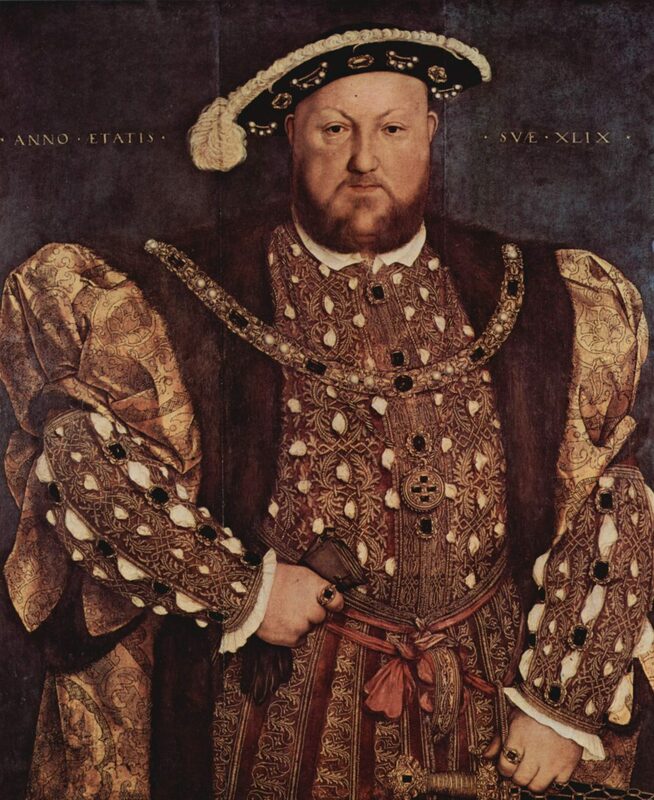 - The importance of planning for reviews and approval authority. - The need to seek and destroy toxic internal conflicts e.g. engineers vs. marketers. 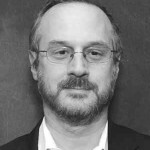 Hugh Taylor has written marketing content for such clients as Microsoft, IBM, HP, SAP, Google and Advanced Micro Devices. Prior to launching his freelance writing practice, Taylor served as Social Software Evangelist for IBM Software Group, Public Relations Manager for Microsoft’s SharePoint Technologies and VP of Marketing at several venture-backed startups. 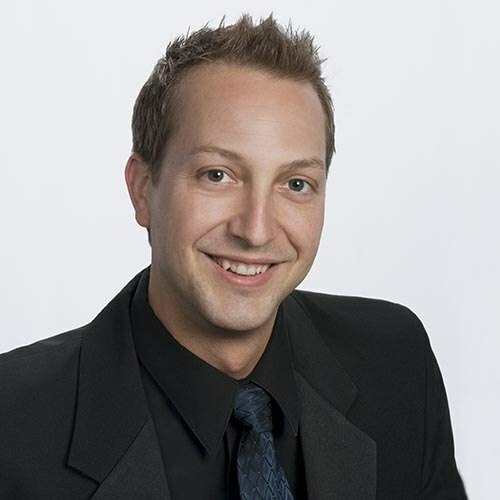 He is the author of B2B Technology Marketing as well as other books on the role of technology in business. The blook up to now has covered areas of marketing that I think you need to do to be effective. At this point, I want to pivot onto an equally, or perhaps even more important topic, which is how you actually implement the marketing work. It’s one thing to have your messages, materials and lead generation programs ready. It’s another to put it all into action in an actual organization, especially a large one. The purpose of this chapter and the rest of the blook are to focus you on approaches to realizing a marketing plan. When thinking about marketing implementation, a word that comes to mind is “auftragstaktik”. I know – you were thinking of that very same word, weren’t you? It’s an esoteric, German military term that means “mission command”. There’s no real English equivalent. Auftragstaktik describes how army commanders give their subordinates a clearly defined mission. It’s an inclusive term that refers to the complete set of instructions and resources that the forces need to complete the mission with a certain time frame. The senior level staff is free to focus on the big picture knowing that their orders will be executed without them focusing on details. A certain level of knowledge and trust between superiors and subordinates is also implied in auftragstaktik. Military historians cite good auftragstaktik as a reason for the successes of the German army in the field. We’re going to apply some of the principles of auftragstaktik to marketing implementation. Marketing is, after all, a blend of strategy, creativity and implementation. You can’t have one without the other two. And, I would make the argument that implementation is perhaps the most important element of marketing. You can have the most brilliant strategy and creative thinking in the world, but if you can’t implement, nothing will come from them. A discussion of implementation could take a hundred different directions. A good way to look at the issue, though, is to approach implementation through two essential topics: Marketing organizational structure and execution. In auftragstaktik terms, the strategy is the high level command, the General’s “Occupy this territory” dictum. 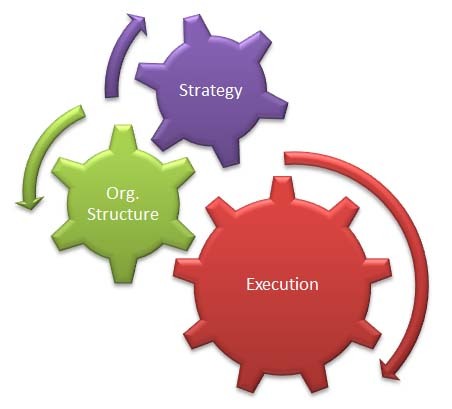 Organizational structure is about how the army is divided into groups, translated into the various departments and teams in the marketing organization. Execution refers to the field level tactics – guns, grenades, tanks, planes, and so forth. In marketing, execution is about how each team does its work. Like an army going to war, the marketing group’s tactics and organization refer back to the strategy. The three subjects are related. Just as you wouldn’t order the Navy to attack Wyoming, you wouldn’t task the Web marketing group with creating billboards. Okay, I know that some of you are going to be jumping up and down thinking that no, in fact, you would actually want the Web marketing group to take care of printing billboards. And, you might be right, but you’re actually proving my overall point, which is that each organizational unit in marketing will necessarily have some important role to play in strategy execution. Marketing is a task that is almost entirely dependent on people. While some aspects of marketing can be automated, virtually every aspect of marketing is devised and executed by people. Even seemingly automatic processes are actually created by people who have to think through what they want to achieve and then implement their ideas. As a result of marketing’s intense reliance on human beings, the marketing organization is of paramount importance in achieving the objectives that the broader organization requires of the marketing team. The small – This is your basic startup situation with perhaps two or three marketing people covering all the major marketing work tracks. In a lot of cases, they will be augmented by contractors and vendors. In the small marketing department, structure is not a big issue, though someone usually has to be in charge (at least, in theory.) People cover multiple areas. The medium– In a medium sized marketing department, one team typically handles all the marketing for the company. The medium department can have dozens of people working in it and multiple teams but it’s one basic organization unit. Medium departments usually have one person, or team, for each of the major marketing work areas. Communications, or “comms” or “marcom”. In some cases, two more responsibilities will be added to the marketing department. A couple of comments: These roles get blurred quite a lot, and responsibilities vary. E.g. social media might fall under inbound, as could content marketing. And, you may be asking, how is it possible for one person to do all of this? The answer is “yes”. The large – A large company usually has multiple marketing teams placed in different parts of the broader corporate organization. In most cases, these teams work as a matrix, as shown in the organizational chart. 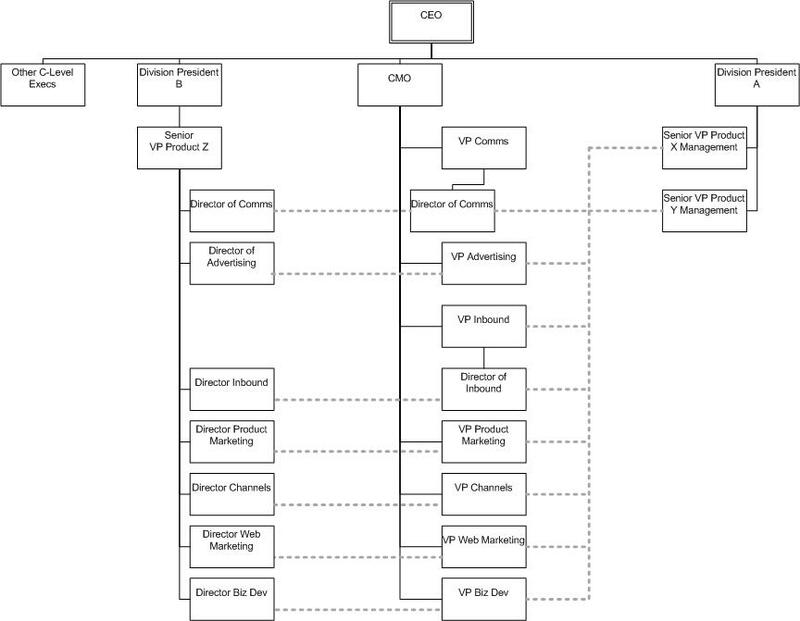 The org chart shown above depicts a fairly typical, if somewhat simplified matrixed marketing organization. In this case, there are two divisions, one of which has its own dedicated marketing team. The other division has two captive marketing executives who get support from the central, or “corporate” marketing department. Why would the divisions have such different marketing organizational structures? It would depend on the marketing mission of each division. Division B has some intense marketing needs. It has to be on the ground in many different areas, so it requires a marketing staff that is completely focused on Division B’s products and marketing requirements. Division A is in a different business, one in which the marketing is carried out mostly by partners. For example, imagine that Division A makes a part that is placed in another company’s product on an OEM basis. Division A doesn’t have a huge marketing task list as a result. Let’s talk about the matrix. The dotted lines in the organization chart refer to informal reporting relationships and collaborations between peers in different groups. In the case of Division A, for example, the Director of Communications reports to the VP of Comms, who reports to the Chief Marketing Officer. He or she is a member of the corporate marketing team. However, on a day-to-day basis, the Director of Comms works mostly with Division A’s Senior VP of Product Y Management. This matrixed relationship is effectively one where the Director of Comms is taking direction and doing tasks on assignment from Division A, even though he or she works for the corporate marketing team. Division A could be described as the Director’s “Internal client” even though in practical terms, the Division A executive is the boss. Why would anyone want this kind of setup? Believe it or not, there are many benefits to a matrix though some serious challenges as well. One big advantage is that the matrix reduces duplicative functions. With autonomous divisions, you can easily have multiple versions of a complete marketing department in each division. This is bad on several fronts. For one thing, it’s expensive to have, for example, a director of public relations for each division when one central person could handle all three. Then, you have the problem of divergent messaging and practices. If three PR people, who are not coordinating, all reach out to the same publication at the same time with three different messages, you’re not doing a very good job with PR. And, you paying triple for the right to do it badly. From a management perspective, a matrix can also be a good way to keep teams focused on their main missions. If you are a product manager, for example, you have many different product management responsibilities. They are more than enough to absorb your management focus. If you also had to manage marketing people, you might get stretched too thin. With a matrix, you can let the marketing department manage the marketers who provide service to your team. It’s as if you were working with an outside vendor who happens to be inside y our same company. In very large companies, the matrix can also help with the process of team member assessment and review. At Microsoft, for example, there are many different levels of employees. A level 63, for example, might be a relatively senior team member, while a 61 is less experienced. The pay scale and expected performance match the levels, more or less. What is expected, however, from a level 63 communications person is different from what is expected from a Level 63 product manager. The senior managers who oversee both of these people will need to “calibrate” their expectations. Having mixed professional specialties on a team can complicate the calibration process. This sounds very bureaucratic and it is, but it’s no joke. People’s salaries and promotions depend on it at big companies so it’s taken very seriously. Tolstoy once family wrote “Every unhappy family is unhappy in its own way.” If only Tolstoy could have seen today’s extended, globally matrixed marketing organizations, I think we’d be reading a thousand page tome about the utter tragedy of it all. See, the matrix depicted in the figure is only one-dimensional. In reality, at a global technology company, the marketing matrix can get a lot more complicated. Verticals – Some companies like to market by vertical, so you’ll have a group that focuses on marketing to the automotive industry, telecoms, government, and so forth. Feature sets – In some cases, a product with multiple feature sets will have a separate team for each major feature. 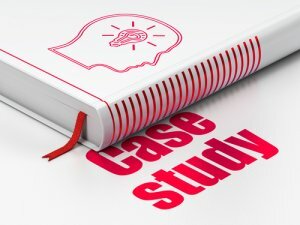 This was the case with Microsoft SharePoint, where one team handled search and another focused on content management. Geos – Any large company will have different geographic marketing teams. The scope of the matrix will depend on the size of the geographical territory. Generally, smaller markets – both within the US and abroad – will have one marketing team that handles all of a company’s products. Thus (purely as an illustration and not as revealing any facts) Microsoft’s marketing team in Portugal might handle the entire Office, Windows, and server product sets. In the UK, in contrast, which is a bigger market, there might be a dedicated Office marketing team, a Windows team, and so on. Inside the US, the same structure will emerge. The New York metro area will likely have numerous product specific local market teams, while South Dakota will have one team (or maybe even just one person!) who handles the entire line. Channel partners – Some channel partners are detached 3rd parties while others are so big and influential that they can effectively be an additional marketing team. There’s a reason they call Windows-based PCs “WinTel Machines” – that refers to the close connection between Microsoft and Intel. If a product has a special channel, the product marketing team will be matrixed to the channel partners’ marketing organization to some extent. Internal solution partners – If your company sells solutions in addition to products, you may find your product matrixed to one or more solution groups. This is the case even if your company only offers guidance on solutions to partners that actually do the solution selling. For example, if you’re in the ERP business, you may have a unit that focuses on mobile ERP. This group will focus on making sure that your ERP product is compatible with various mobile devices and hand-held computing equipment, such as bar-code scanners. 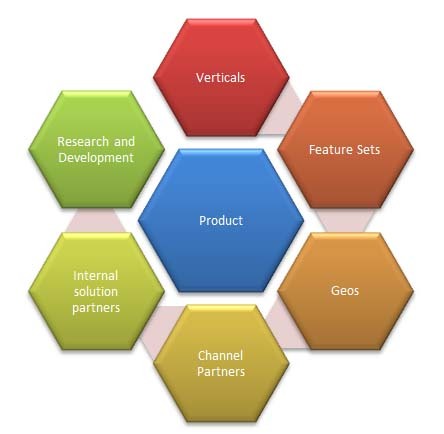 Research and Development – R&D runs the gamut as far as matrixed marketing organizations go, but generally speaking you will have some connection points with groups that conduct customer research and develop new product concepts. All of these groups participate, have input on what you are doing and need materials from you. It can be a messy setup, with numerous groups, each with different management, goals and timelines all trying to coordinate their activities. And… This just keeps getting better, doesn’t it? In a very large company, such as, for example, the top 10 largest technology companies in the world, you will have multiple versions of each matrix functioning within each major business unit. 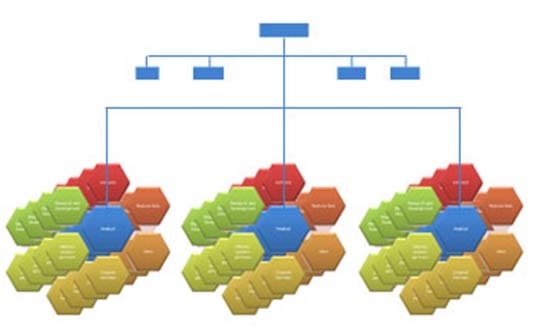 The organization chart will look something like the figure shown below. Wow! What a mess. And, just to make it even more insane, add in the constant churn of people coming and going from positions. It’s a wonder that anything ever gets done at all. Most companies that have this type of multi-layered matrix try to match the matrix to their marketing strategy. In practical terms, this means creating priorities and emphasis, as well as handing control, to the most strategically important people and teams in the matrix. Without some type of emphasis, the compound matrix will not function well. And, indeed, sometimes these complex organizations don’t run very effectively, even if there is a strategy dictating who is in charge. For example, a company might be solution-centric or industry-centric. In an industry-centric company, the industry vertical group gets the weight to make the other groups do what they want, more or less. There are also horizontal market segments that receive priority, such as content management or email servers. Alternatively, the matrix can be managed using a schedule. For instance, you can organize product marketing into scheduled waves of activity. This is Microsoft’s tactic, with “release waves” of product families, such as Office, occurring at preset three year intervals. The calendar dictates much activity that occurs across dozens of individual groups. The real question with a compound matrix organization is “who owns the business?”. Some person or group has to be in the lead or the matrix will not work. This entity that owns the business sets the agenda – to some degree – of the other elements of the matrix. A lot of the time, the business owner is the product manager. For example, at Microsoft, there is the “Information Worker Product Management Group,” which is responsible for the overall business of Microsoft Office. The business owner is responsible for coordinating with the other elements of the matrix to make the business move in the desired direction. In some cases the business owner will determine the budget allocation for other matrix elements though just as often, the units are independently funded and must agree to work together on a cooperative basis. Getting a separate business team that you don’t control through budget to agree to do what you want them to do is not always easy. This is where leadership comes into play. Or not. When there is strong leadership at the top, different pieces of the matrix can get together an agreement on a plan that will play to the dominant strategy. For example, if the company has been pushing horizontal product features decides to shift to a vertical focus, the senior management needs to get consensus amongst the matrix unit leaders to cooperate on making vertical markets the priority. There is usually a lot of push and pull leading to compromise. Ideally, the negotiation of priority results in an optimal deployment of all the matrixed resources. This is not always the case, of course. A lot of the time, the matrix just grinds along, each part doing what it does, and marketing happens in the process. It’s not the best way to do things, but like those mediocre but plentiful Sherman Tanks rolling off the ships in Normandy, a lot of movement in the right direction will achieve some strategic goals. Where does marketing fit in an organization? Should it report to sales? How does marketing relate to business development? These are mostly issues facing smaller marketing teams though the relationship between marketing and Biz Dev can be complicated even in large companies. If you ask me (and let’s face it, if you’re reading this, you are asking me) I think marketing should not report to sales. Many companies have a person called “VP of Sales and Marketing.” This is, in my view, a mistake. That person is invariably a sales professional who either lacks the knowledge or time to manage marketing effectively. When you have marketing report to sales in this way, you’re relegating marketing to a second tier status. If you do find yourself in charge of marketing at a company where you report to sales, my suggestion is to work hard on negotiating your autonomy. This may be easier said than done, but it’s definitely necessary if you want to avoid being a sales doormat. For instance, as a marketer, you must take a relatively long term view of the marketing process. Yes, you need to generate leads with immediate business potential. But, you also have to work on building the kind of long term credibility and repeated touch points that will lead to sustained marketing success. A sales manager may not see things the way you do. I realize I’m being grossly unfair and generalizing here, but if you think about the conflicting incentives involved you’ll see what I mean. The sales manager usually has a short term set of goals, perhaps stretching from the nearest quarter to the end of the fiscal year. That’s about as far as he or she is going to think about approving budget for marketing efforts. After that, said sales manager may be history anyway… It can be time for a fight if you want to pursue the longer term, or perhaps more subjective ROI programs you know the company needs. What about business development? Where do marketing and business development fit within an organization. Like everything else in this discussion, it depends. But of course, I have an opinion on the subject. Biz Dev is a function that varies from company to company, but it’s mostly about arranging partnerships with other businesses that can resell, or facilitate the sale of, your product. It’s probably a closer relative to sales than it is to marketing, but the disciplines overlap. As a result, marketing sometimes get parked under Biz Dev. The converse is also true. Biz Dev can get slotted within the marketing department. Sometimes, marketing and Biz Dev both report to sales. There is no ideal solution to this, but in my experience, it’s best for Biz Dev to be autonomous or largely left alone within the organizational unit that houses it. The reasons for this preference stem from a recognition that Biz Dev is inherently different from sales and marketing, even though it bears a superficial resemblance to them. Biz Dev should be free from the quantitative time pressure of sales as well as from the broader mandates of marketing. Of course, Biz Dev, marketing and sales need to align strategically, but Biz Dev should be free to pursue its own agenda. At the same time, it’s critical for sales and marketing – as well as product development – to be at arm’s length from Biz Dev’s agenda. Biz Dev is in the “maybe” business. Like a shopper who wonders what a dress in the store window will look like on her, the Biz Dev executive looks at many potential partners and tries to find a profitable business fit. If you don’t like that analogy, think kissing frogs. Biz Dev has to kiss a lot of frogs to see if any potential partner is going to turn into Prince Charming. That’s all fine, but frog kissing can lead to a lot of wasted cycles in marketing if there isn’t a healthy distance between the two. Consider the following scenario: The Biz Dev person gets hot and bothered by the idea of partnering with company X as a reseller. With a partnership in hand (perhaps informal, perhaps contractual, though it really makes no difference in practical terms) he leans on marketing to create collateral, presentations, press releases, sales training materials, white papers, and so forth, to support the new partnership. The process is time consuming. It may also require stretching existing messaging and value propositions to fit the partner’s go-to-market strategy. All of this work and distortion will be worth it if the partnership produces revenue. If the partnership doesn’t perform, and most of them don’t, a lot of time will have been wasted. Plus, there’s an opportunity cost. Other marketing didn’t get done while you were being pushed (and rushed, usually, as well) to get the partnership marketing materials ready. For this reason, it’s good to have some balance in the Biz Dev-Marketing relationship as well as some executive oversight that can help assign priorities to Biz Dev requirements. Biz Dev can also tax engineering resources if it is not managed well. I don’t mean to dump on Biz Dev. I’ve been in that role myself a few times, so what I have to say comes from experience on both sides of the issue. What can happen, though, is that when Biz Dev gets wind of a potential partnership, it presses engineering for modifications or new features that the partner wants. These may or may not be on the roadmap and they may or may not be trivial. If they are non-trivial and unplanned, someone needs to take leadership and decide if the changes are truly warranted. For example, let’s say that your software company has an opportunity to resell its application through a major social network. Sounds great! And, maybe it is. But, creating the APIs and coding for functionality to make it happen could be a major project. If the work is going to be done on the come, with no clear expectation of revenue, it’s a very serious judgment call as to whether it should be undertaken. Marketing can get called into these discussions. What do you think of this partnership? Is it worth spending resources on? Or, more accurately, is it worth diverting resources from other work to get this done? As the master of strategy that you surely are after reading this book, you will undoubtedly be able to offer brilliant advice. Where does Web marketing fit in the marketing organization? How about social media? There is definitely more than one correct answer to each of these questions. The issue, though, is one of boundaries. Web marketing, as well as social media, are both distinct disciplines with clearly delineated work tracks. For example, building and maintaining the Web site is a Web marketing activity. As such, it could easily justify a standalone organizational unit for Web Marketing. 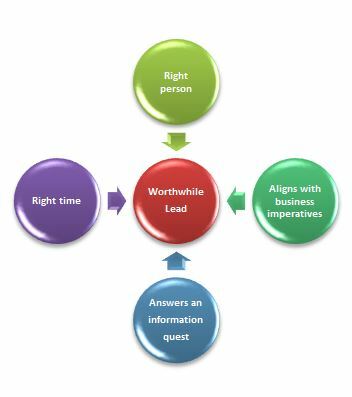 A VP or Director level manager could be assigned all Web marketing tasks. At the same time, Web marketing cuts across nearly every single aspect of marketing and sales. Consider, for example, search engine optimization (SEO). This is a purely Web marketing activity, at least in technical terms. However, SEO is actually a profound focal point for all marketing and communications work. SEO drives the question, “What will people be thinking about when they are looking for a company like ours?” That’s not a Web marketing issue alone. That’s a big, high level question that needs to get answered by many different voices inside marketing and beyond. Structurally, Web marketing should be a matrix within the marketing group. Whoever runs Web marketing should plan to reach out to many different people and teams. Web marketing works best when it incorporates the goals and strategies of the complete marketing effort. Social media is similar. New as it is, social media marketing is still the province of the young, the special, and the different. That is not necessarily a bad thing, but as a lot of marketers are finding with social media, to get any kind of payback from the process, it has to be grounded in marketing basics. Social media is a form of public relations. It’s also a form of lead generation and CRM. It is sometimes an end unto itself, but that is not the main purpose of social media. Like Web marketing, social media should try to matrix itself within marketing and work to integrate broader marketing messages and objectives into its campaigns. Who should actually work for your marketing department and who should be hired as a contractor? Which work should be assigned to vendors versus kept in house? The quick answer is that it will depend on your budget. If you can afford full time people, hire them. If you need to contract out certain work due to budget constraints, that’s what you’ll do. Not always. The contract vs. hire question affects large and small marketing organizations alike. For very small marketing teams, such as you would find at a startup, the issue may be forced. At wealthier companies, it’s more a blend of strategic and corporate HR policies. The underlying issues, however, are always the same. The contract vs. hire choice revolves around two basic questions. First, what are the core strengths and mandates of the department. These should guide hiring. You want to hire people with skills and experience that are most closely aligned with the department’s prime mission. Second, how do you define value for marketing budget spent? On this second point, consider the following hiring vs. contracting decision. Let’s say your department has an unmet need for both public relations and search engine optimization. You want to kick off campaigns in both areas but you lack the staff to get the work done. One solution would be to hire someone who could do both tasks. Such a person would have to be adept at both PR and SEO. Even though these two skillsets are nowhere near as far apart as they used to be, they are still quite distinct. Whomever you hire will likely be slightly less effective at each skill than a dedicated resource would be. You can’t afford to hire two people, however. You could contract out SEO and PR and get a better result in each category. Your spend might be higher, but so would your value. Imagine that you could hire a full time PR and SEO person for $75,000 a year, or $90,000 with benefits and taxes included. In contrast, what would it cost you to find a contractor for each? If you paid two contractors a rate of $60 per hour each for 20 hours a week (1000 hours a year), your cost would be $120,000. It’s $30,000 more but it’s probably worth it. Where you have to be careful, though, is with vendors that substitute for personnel. You might end up paying $15,000 a month for PR and $5000 a month for SEO. Now you’re paying $240,000 and the value received is probably about the same as with contractors. It may be better, of course, and you might get better accountability from a vendor in comparison to a lone contractor, but you have to do the math and weigh what you really expect to gain from the situation.